Have your students practice recording and representing multiplication in a fun and festive way! 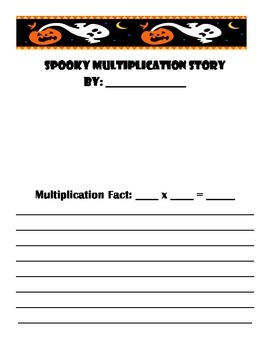 The students are required to write a multiplication story, illustrate their story, and write the multiplication fact that goes along with the story. This is a great activity to use on Halloween while sticking to the curriculum!